If you’re an Amazon prime member then you are entitled to many perks on Amazon including free shipping on most products, free kindle downloads, and free prime music. But, some members loves the one of the best service of amazon prime membership and that service is amazon prime videos. You heared it right. The amazon prime video offers you more and more TV series that you could stream full day and still you would have remain much more to stream. So, for such amazon prime video members we have listen the top 5 amazon prime TV shows which you must watch. 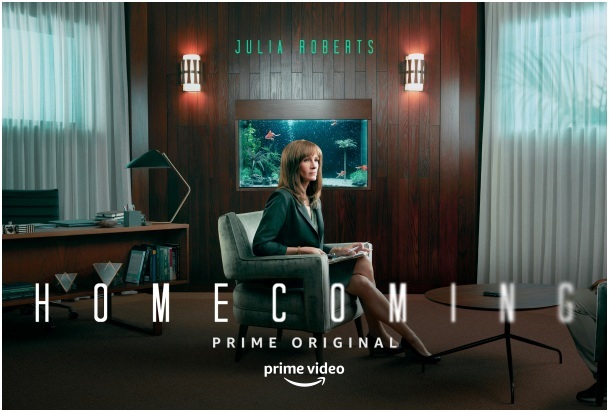 Homecoming is an American psychological thriller web TV series which is streaming on Amazon prime right now. This TV show is based on the podcast of the same name “Homecoming”. The Homecoming TV show is created by Eli Horowitz and Micah bloomberg. The creators also served as writers and executive producers. This exciting TV show is directed by Sam Esmail. The main cast of this TV show is Julia Roberts as Heidi Bergman as the female lead and Stephan James as Walter Cruz as a male lead role. The starting of Homecoming series follows Heidi Bergman who was a caseworker in Homecoming transitional support center facility whose purpose is to help soldiers transition to civilian life. Years after she left the facility and living a new life, she realized that she has been misled and the purpose of the facility was kept hidden from her when the auditors of facility enquire about the reason of her leave. So, overall this TV has recently launched on Amazon prime and only 1 season is out till now. But, it’s not wrong to say that this series has won the heart of people and filled a new level of excitement in them. “Startup” is an American drama web TV series which is currently streaming on Amazon Prime. This TV series is based on the life of entrepreneurs and what problems they face in their startup journey. This TV show is created by Ben Ketai and the first season of this TV show was premiered in 2016 and till now the TV show is renewed for its third season. The main lead cast in this series is Martin Freeman, Adam Brody, Otmara, Marrero, Edi Gathegi, Ashley Hinshaw, Karisa Montaner, Ron Perlman, and Addison Timlin. The “StartUp” TV show starting with the emergence of GenCoins which is a brilliant tech idea but a controversial one and completely centered on digital currency. Later, the idea is incubated on the wrong side of the track by three strangers and then an FBI agent is there who go to any level to turn them down. You can watch all the 3 seasons by using Amazon prime coupons and you could stream them anytime and anywhere. Isn’t it sound interesting? This TV show is enough for you to bring out any entrepreneur within you. “Young Sheldon” is an American comedy TV series on CBS which also currently streaming on Amazon Prime. This TV series is created by Chuck Lorre and Steven Molaro and the first season of this series was aired in 2017 which is also in-going in 2018. The main cast of this TV show is Iain Armitage as Sheldon Cooper as male lead role along with Zoe Perry as Mary Cooper who becomes Sheldon’s mother and Lance Barber as George Cooper as Sheldon’s father. The story of “Young Sheldon” is all set in 1989 and starting from a young boy Sheldon at the age of 9 living with his parents in East Texas and going to High School. The young Sheldon trying to fit in the world around him along with his parents and friends and attempts to deal with the intellectual capabilities and social challenges. The series “Young Sheldon” is a prequel of another TV show of CBS “The big bang theory”. Overall we can say that this TV show is featuring the natural living life of a Young kid who is new to the world and trying to fit with others and ready to accept the challenges. 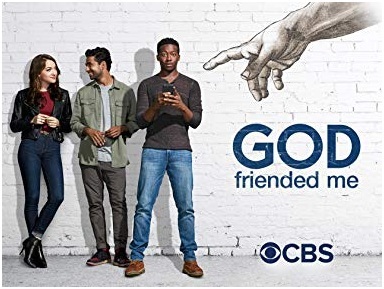 “God friended me” is an American drama TV show which also streaming of Amazon prime right now. This TV show is also another TV show of CBS which was premiered on 30th September 2018. The main cast of this TV show is Brandon Micheal Hall as Miles Finer, Violett Beane as Cara Bloom, Suraj Sharma as Rakesh Sehgal and Joe Morton as Arthur Finer. The starting of this TV show chronicles the life of Miles who was an atheist and receives a friend request on facebook by someone calling him as God. This account then sends the suggestion to Miles to follow some people in New York who needs assistance and help. Miles then started to follow these people to help them. At first, he meets with Cara who was a writer and then with the help of his next friend Rakesh who is a hacker by profession, trying to find out about the real identity behind the God account. In this TV show, the use of Facebook shows frequently as of how God sends him the friend request and how they try to find out his identity by the hack into him. Now, the last but not the least one. “Mr. robot” is an American drama thriller series. This Tv series is also created by Sam Esmail who has created the same TV show Homecoming. This Tv show featured all Hacking tools and techniques and must watch by every person who loves the technology, coding, and hacking. This entire TV show brings out the real Hacker within you and completely turns your brain into Hacking and make you love with it. The main cast of this TV series is Rami Malek as Elliot Alderson as the male lead role. The first season of this TV show was aired in 2014 and this year the fifth season is aired. The story of “Mr. 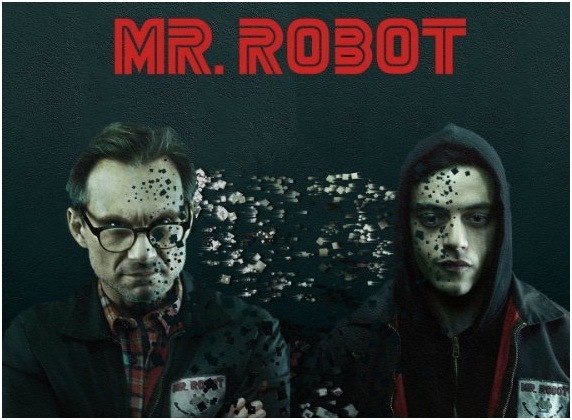 Robot” is started with Elliot Alderson who was a cybersecurity engineer in a company named as “E-corp”. Besides that, he is dangerous Hacker who has social anxiety disorder and clinical depression. Elliot is recruited by a stranger named as “Mr robot” into his Hacker’s team named as “FSociety”. The main aim of this group is to destroy all the debt-data by encrypting it of the largest company E-corp. The Tv series has also nominated and won multiple awards. Overall, we can say that this is the best TV show for a person who loves wither technology or drama series. Does Print Media Have an Impact On General Elections In The UK?